As ya’ll know, I am in love with Shakeology. I started drinking it in May after a friend recommended it. She knew I had always had stomach problems, and it was a really embarrassing topic for me. I am still kind of cringing over blogging about my IBS, but I know just like talking about my dermatitis it may help just one person out there…and that’s enough for me to do it. By drinking a shake either every day or every other day my IBS has settled, and I very rarely have a flare up. (I’ve had 1 since May when I got stressed out at my new job. This is a major improvement for me.). I do sell Shakeology, but it was after great thought. I wanted to provide an outlet for someone to buy it and also for them to have my contact information to let me know if they had any questions about it later. The commission I make also helps me do giveaways and host this blog. Which is all fine and dandy, but if it tasted like Kefir or something worse, I couldn’t stick with it. I started on the chocolate flavor and have loved it for nearly a year. It still is yummy, and I have learned enough recipes that I like to keep it fun. When they announced Tropical Shakeology though I was so excited! Don’t forget to LIKE SoreyFitness on Facebook! Have you ever tried it? What recipe is your favorite? Hey! I’m 18 and my IBS is frustrating. Also I want to lose weight so when I heard about shakeology I got really excited! The downer is that it’s so expensive! Do you think it’s worth me spending all the money? I’m 30 pounds over weight and I have IBS. Not sure if anyone else has responded to you on this topic but I feel it is my duty to inform you of the positive effects of taking this product. I don’t have IBS so I can not speak on behalf of that but what I can tell you is that I am, like you, 30 pounds overweight. I am planning my wedding for September 15th 2012 and I started taking Shakeology in February and going to the gym 4-5 times a week. I have to tell you that I have the most energy I have had in my life. I feel fantastic and when I was just eating cereal or something lite for breakfast, I was hungry again an hour or so later. Since I have been making Shakeology for breakfast, I am able to go all morning long and not think about food…..not even once! It has kept me full longer than just eating the regular, and sometimes unhealthy, breakfast foods. I am in this kind of toning mode right now where my fat is turning into muscle so I have not noticed much weight loss yet but a few pounds but my stomach is flatter, arms and legs are getting more and more solid! 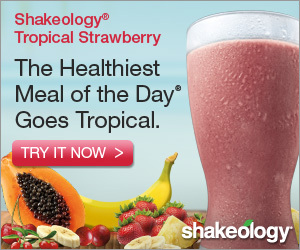 Just to be clear, it is not solely because of Shakeology but more a combination of the two. I know it is expensive but if you buy it in bulk it is just over 4 bucks a day and totally worth it! I highly recommend it and love it! I really hope this helps! Good Luck!!! !